This 2-day tour to Parry Sound in Northern Ontario has a little bit of everything to make this an amazing weekend getaway. You start your weekend with a 3-hour cruise on the Island Queen ship sailing through the 30,000 islands & Georgian Bay on a warm summer afternoon in August. Then it's time for a dinner break and some rest at your hotel before you enjoy a fabulous concert titled "Blue Eyes Meets Basie" by the Swing Shift Big Band accompanied by Cal Dodd at the intimate Stockey Centre For The Performing Arts in Parry Sound. 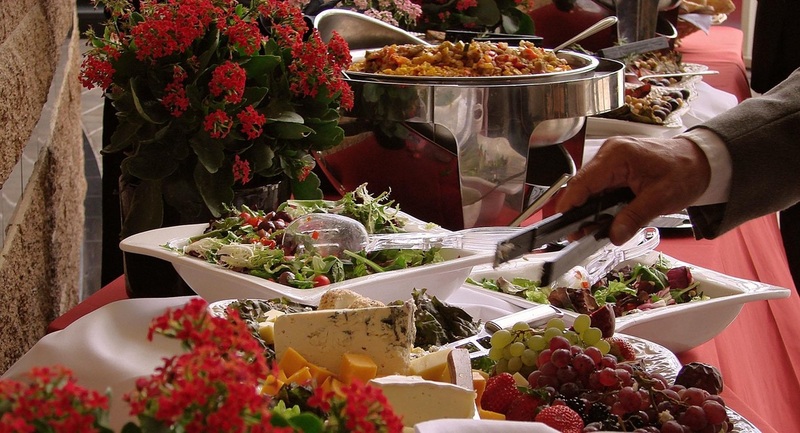 On Sunday morning, you start with a lovely private brunch accompanied by a live Jazz Quartet and on your way back to Toronto you finish with a refreshment break and a tour of the terrific McMichael Canadian Collection Art Gallery in Kleinburg. The gallery has one of the largest collections of Canadian art including the Group Of Seven and the outside sculpture galleries and the landscaped grounds at McMichael are just stunning in the summer. Round trip transportation from Toronto area to Parry Sound on deluxe highway motor coach. One night's accommodations in Parry Sound included. Deluxe Sunday morning brunch with live Jazz quartet included. Cruise ticket on the Island Queen cruise ship and 3 hour afternoon cruise on Georgian Bay included. 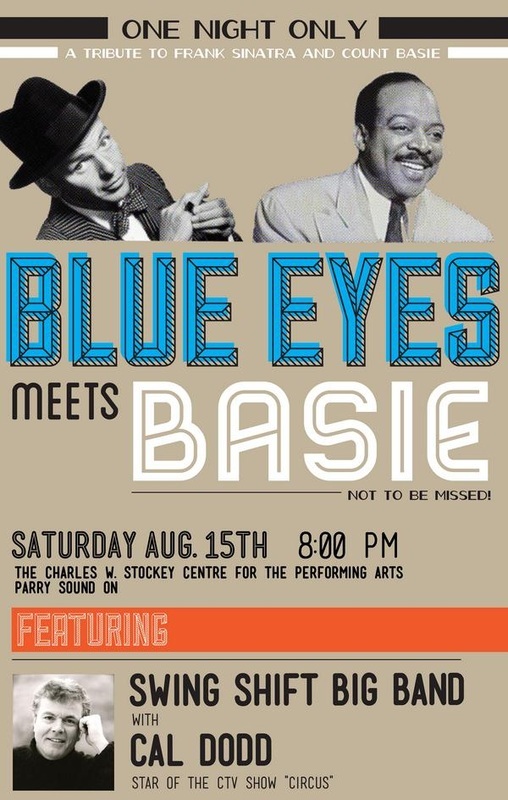 Concert ticket at the Stockey Centre to see "Blue Eyes Meets Basie" with the Swing Shift Big Band & Cal Dodd included. Admission & snack break at McMichael Canadian Collection Art Gallery included. Prices below are per person, in Canadian dollars, all tips are included, HST is extra. You are not required to bring a travel companion to get the double occupancy price! We will assign a roommate of the same gender to you and if we are unable to find a roommate, we pay the single occupancy surcharge! Cancel by July 15, 2015 to receive a full refund of all amounts paid. Sorry but no refunds after July 15. To cancel your reservation, simply log into your customer account or send us an email and we'll cheerfully send you the appropriate refunds, if applicable. We will have the following pickup locations available for this tour. BLUE EYES MEETS BASIE is a rare "one-of-a-kind" performance that you don’t want to miss! A tribute to Frank Sinatra and Count Basie - both in one concert - featuring the Swing Shift Big Band and vocalist Cal Dodd is guaranteed to get you in the swing of things and bring back memories of the golden years of the big band era. The two and a half hour evening concert will include many of the songs Frank made famous such as “My Way” along with classic Basie renditions of songs like “April in Paris”. Based in Toronto, the Swing Shift Big Band has been dazzling audiences since 1996 with their swinging high energy style led by Jim John, leader and alto saxophonist. The band is rated by experts as one of Canada’s premier big bands and regularly performs at major venues in the Toronto area and jazz festivals in Ontario. Cal Dodd began singing as a toddler and with his fabulous vocal range has enjoyed innumerable roles on stage, radio and both sides of the camera. He was co-host of the television series “Circus” on CTV from 1978 to 1983. Combine the powerhouse Swing Shift Big Band with the stage savvy style of Cal Dodd and the BLUE EYES MEETS BASIE concert will have you tapping your feet and wanting more! From the band’s beginning in 1996 it quickly became apparent that this was a band intent on preserving the sounds and quality of the big band era - a band that has since been recognized as one of the top big bands in the country. With 17 talented musicians, male and female vocalists and optional dancers and female vocal trio, this band can entertain audiences of all ages. 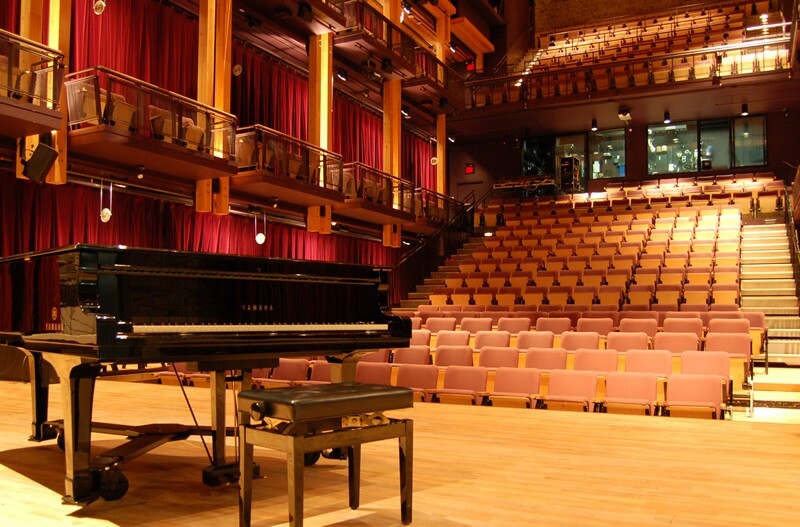 Our venue for the concert will be The Charles W. Stockey Centre for the Performing Arts, a 415 seat intimate performance hall in Parry Sound, Ontario, Canada. It is the primary performance venue for the annual Festival of the Sound summer classical music festival. 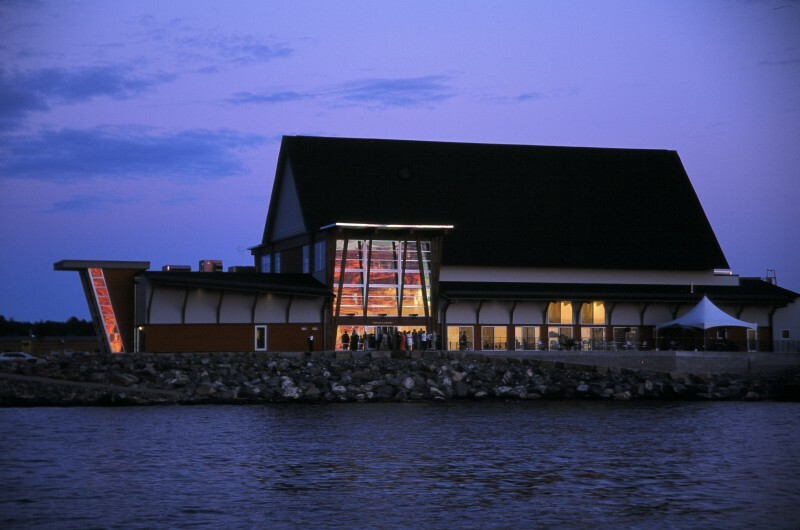 This beautiful facility, designed and built to look like a Georgian Bay cottage, sits on a peninsula where the Seguin River river flows into Parry Sound on Georgian Bay and adjacent to the town's harbour area. 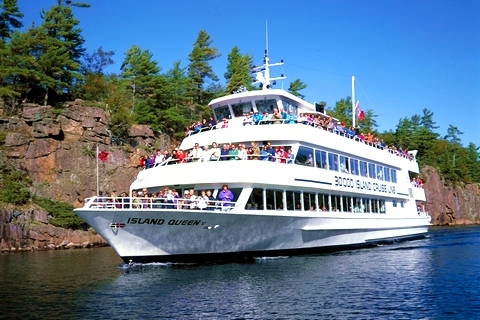 Your tour includes a 3-hour afternoon cruise aboard the Island Queen, the largest sightseeing cruise ship in Canada that sails every day through the stunning beauty of the 30,000 islands region in Georgian Bay. On Sunday morning, after checking out of the hotel, we will travel to Parry Sound for a private sumptuous brunch accompanied by the upbeat sounds of the Swing Shift Jazz Quartet. What a way to start the day! Renowned for collecting only Canadian art, the McMichael permanent collection consists of almost 6,000 artworks by Tom Thomson, the Group of Seven, their contemporaries, and First Nations, Métis, Inuit and other artists. Built of fieldstone and hand-hewn logs, the McMichael houses thirteen exhibition galleries where floor-to-ceiling windows enable visitors to enjoy views of the densely wooded Humber River Valley. Beyond the galleries the McMichael provides 100 acres of forested land, from a ridgetop ‘wilderness garden,’ planted by the McMichaels to echo the northern forest beloved of the Group of Seven, to the heritage waterway important to Aboriginal peoples. Through a network of outdoor paths and hiking trails, visitors can explore the newly installed Sculpture Garden as well as the unique McMichael Cemetery where six Group of Seven members and gallery founders Robert and Signe McMichael have been laid to rest. Upon arrival at the gallery, we will enjoy a refreshment break with tea, coffee, soft drinks and assorted baked goods, followed by an opportunity to tour both the art galleries and the outdoor grounds.